With the average age of U.S. farmers approaching 60, the U.S. Department of Agriculture has invested significantly in programs that support beginning farmers and ranchers. Now, the USDA is funding an effort to help those programs evaluate their success. Led by UC Santa Cruz, the new program is designed to take the dread out of evaluation and help administrators build feedback and reflection into their day-to-day operations. "We want to make evaluation painless to administer," said project leader Jan Perez, a research specialist with the UCSC Center for Agroecology and Sustainable Food Systems (CASFS). "Good information can help administrators improve their programs, get better at what they're doing, and get more funding." The needs of farmers during their first 10 years in agriculture vary regionally, as do support programs across the country, said Perez. "It's hard to get into farming in much of California because land costs are so high," said Perez. "In some areas in the Midwest, it's not as hard to get started, but it's hard to stay in farming." Support and training programs focus on everything from land acquisition and agricultural skills to marketing strategies and business competencies. Some programs are tailored to the unique needs of certain groups, including female farmers and immigrants who are new to the country. With all the resources, time, and effort going into beginning-farmer support, Perez says it only makes sense to help all these programs assess their effectiveness. "This grant is about helping them improve what they do and giving them a place to discuss what's working—and what isn't," she said. Perez, who won the competitive three-year, $600,000 grant, is in a good position to know. 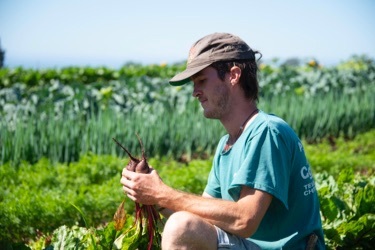 UC Santa Cruz is home to the Apprenticeship in Ecological Horticulture, one of the longest-running, university-based organic beginning-farmer training programs in the country. In 2009, Perez led a follow-up survey of apprenticeship graduates—the first of several evaluations of beginning farmer programs she would conduct. 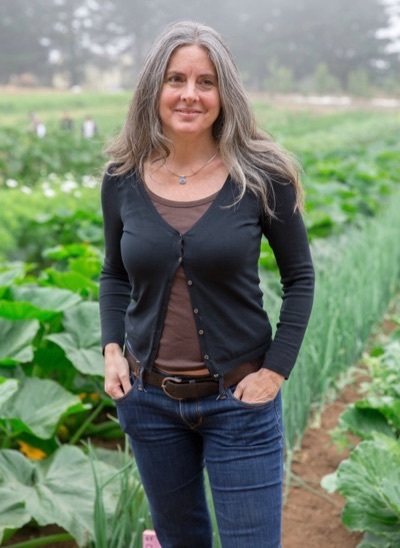 In 2012, with support from UCSC's first USDA grant for beginning farmers, Perez led a more comprehensive evaluation of the apprenticeship. She designed workshop evaluations and an annual assessment tool that apprentices use to reflect on what they've learned, and she developed systems that make it easy for staff to enter and analyze data. "At first, staff did it because it was required, but it's really gratifying for me because they found value in it and have kept doing it," said Perez. Instructors get feedback on their teaching and the content of their lessons, apprentices get a chance to reflect on how much they have learned, and program managers put the input to use by tweaking the curriculum, filling gaps, and improving the learning experience for everyone. "Evaluation is a powerful tool for continual program improvement," said Perez. But administrators are often initially skeptical, viewing evaluation as a burdensome chore. "Universities often have more experience and resources for doing it, but a lot of nonprofits feel pretty overwhelmed by the task. It's more work," said Perez, whose goal is to make evaluation easier and more attractive. The USDA is eager to grow a new crop of successful owner-operator farmers, and Perez's goal is to create an "evaluation learning community" of people running programs that support beginning farmers. Supported by this new grant, she will use webinars, teleconferencing, and digital tools to build the community. She hopes to showcase "evaluation advocates"—members of training organizations who will share their experiences, including their initial reluctance to "add one more thing," and speak to the benefits of evaluation. "I want to make it relevant and useful to organizations, so they can see how evaluation can help them build their reputation, attract more participants—and be accountable to them," said Perez. The USDA's Beginning Farmer and Rancher Development Program (BFRDP) was written into the federal Farm Bill in 2008 with support from then-Congressman Sam Farr (D-Carmel). 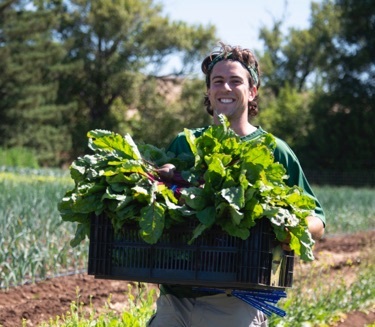 In 2012, CASFS, which runs the apprenticeship, received a $665,000 BFRDP grant to train novice farmers. Collaborators on that grant included three local sustainable agriculture organizations: the Ecological Farming Association (EFA), the Community Alliance with Family Farmers (CAFF), and California Certified Organic Farmers (CCOF); one of the outcomes of that grant was the establishment of the Central Coast Farmer Education Network. Perez notes that support for beginning farmers takes many shapes and forms. It is offered by university-based programs, extension programs, nonprofits like EFA, CAFF, and CCOF, and farms like Pie Ranch in Pescadero, which is operated by apprenticeship graduates Nancy Vail and Jered Lawson. Support ranges from individual classes to full-time programs like UCSC's six-month residential apprenticeship. "There are hundreds of people all across the country doing this work," she said, noting that more than 700 organizations have applied to the BFRDP for funding since its inception in 2009. Perez will partner with Jennifer Hashley, a CASFS apprenticeship graduate who is the director of the New Entry Sustainable Farming Project at Tufts University, and Kim Niewolny, an associate professor in the Department of Agricultural, Leadership, and Community Education at Virginia Tech, to implement the new grant. Daniel Press, executive director of CASFS and a professor of environmental studies, will provide project oversight as the principal investigator.